True love lasts a lifetime.But sometimes, life just gets in the way . . . It’s the opening weekend of the first ever boutique ‘divorce hotel’ and three couples arrive to ditch their emotional baggage, once and for all, and move on. It’s make or break time for Lucy and Andrew, Jo and Dave and Dawn and Kirk. But the hotel’s manager, Chloe Townsend, is one very special lady. As she settles her guests in, it becomes clear that this weekend is going to bring some big surprises. Because some things are worth fighting for – and what seems like an unhappy ending can be a very exciting new beginning … And when the weekend draws to a close, no-one is going to be more surprised than Chloe herself. 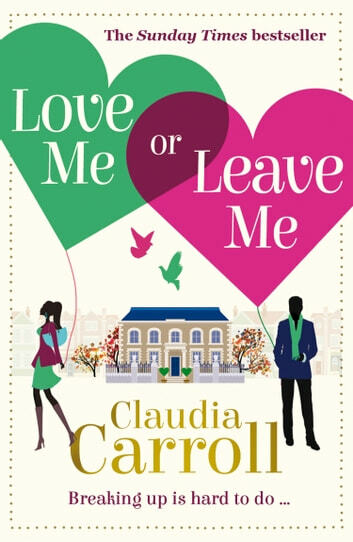 If you love MARIAN KEYES and SOPHIE KINSELLA you will love this! The story was completely different from anything I've read before. Good characters, well written, having a variety of different characters in each chapter made it more interesting & made me keep wanting to read to see what happened next. With twists in the tale it was romantic, funny but not soppy. Great read. The author's writing is fluid and the stories are very good. I would like a book for each character. I loved it. I want to read her other books.